1 What is Rotation Pool? Rotation is a pocket billiard game also called Rotation Pool or 61. The game requires the standard pool table and accessories. Thus, a regular size pool table, a cue ball, and a rack. More importantly, it calls for players with good cue ball control and those experienced in position play. In the game of Rotation, players don’t have to ‘call the shot’ or call the ball and the pocket. It is however required that the cue ball hit the lowest numbered object ball first on each shot. Only the balls that are pocketed through a legal shot counts. Indulge in a pool game that's focused on accuracy in racking points. Playing Rotation Pool won't be any trouble for anyone who plays eight-ball, nine-ball, and ten-ball. This is due to the similarity of the shooting styles needed to excel in all of the mentioned games. The objective of the game is to score the most points by pocketing the highest scoring object balls. Successfully shooting and pocketing the money ball almost always is an advantage. Each frame (individual game) concludes when a player or team reaches a certain amount of points. The global standard is 61 points. This is the target score since 61 makes it impossible for any other player or team to win the game. Ideally, a maximum of four people may play Rotation. Either individually or doubles (team of twos). All billiard balls 1 to 15 and the cue ball. Just like in eight-ball, balls in Rotation Pool are racked in a triangle. The 1-ball must be in front (apex) of the rack (on thefoot spot). The 2-ball should be on the right rear corner (from the vantage of the racker). Subsequently, the 3-ball must be placed at the left rear corner, just like in kelly pool. Most importantly, the 15-ball, the object ball with the most value, securely placed in the middle. All the other remaining balls are randomly placed on the rack. Securing that all balls are touching and tightly racked. One of the most important﻿ rules of Rotation is to “follow the count.” Meaning, only the lowest valued ball is to be struck and pocketed at any given time. The only way that a player could pocket a higher valued ball is by pocketing it on the same shot as the lower valued ball. Taking into consideration the fact that the lower valued ball hits the other ball on that same play. A player’s turn ends when he fails to shoot a ball, pockets the wrong ball, or when the frame ends. All illegally pocketed balls are pulled out and spotted. To rack balls for a game of Rotation, place the 1-ball at the apex. Put the 2-ball on the right rear corner and the 3-ball to the left rear (from the vantage of the racker). 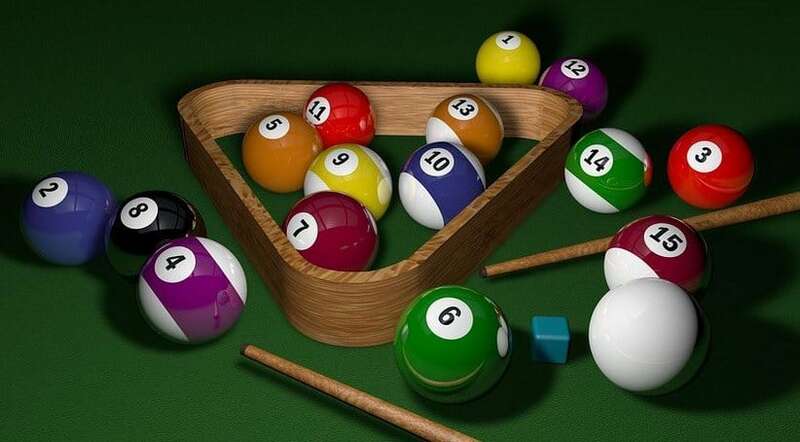 Finally, the 15 ball is kept in the middle while the rest of the balls placed at random. Rotation Pool has a scoring system that’s unlike other pool games such as eight-ball poo﻿l. The point system used in the game follows the numerical value of the balls. 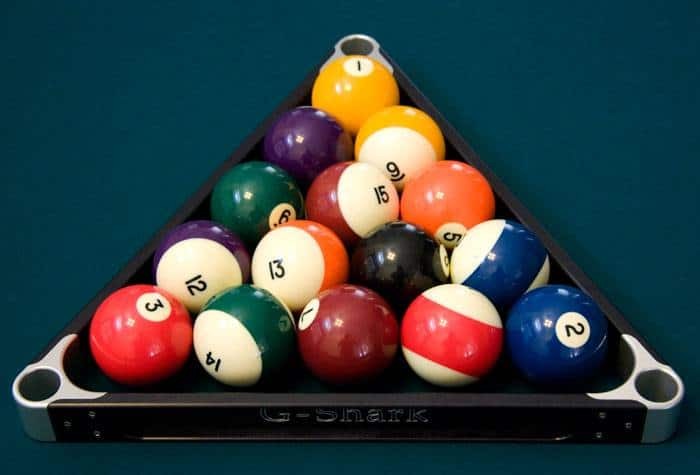 Ironically, the term “money ball” in Rotation would indicate the 15-ball, which accounts for the highest scored ball. The person or team who reaches the target score of 61 points (or a different value agreed upon) wins the round. A player’s failure to deliver an opening break on the break shot. For which, the next player on the lineup could take one of the two options. One, to accept the balls as they lay on the table and shoot behind the head string. Conversely, ask to re-rack the balls and then shoot a break shot.